Maundy Thursday service with Communion 7 p.m.
Joint worship service at Union Presbyterian 7 p.m.
Sunrise service in the Memorial Garden 7 a.m.
Breakfast by the Men of the Church 7:30 a.m.
Easter Celebration Service with Communion 11 a.m.
Smart phone users now have an app with daily prayers. The app was developed by PC-USA. To find out more, click here. 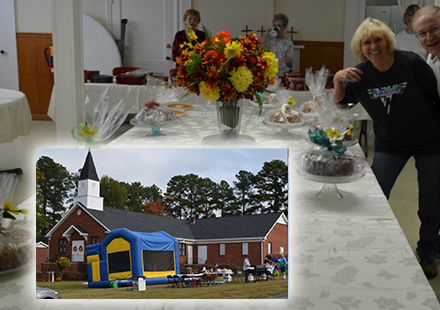 Founded in 1951, Robinson Memorial Presbyterian Church maintains its small church atmosphere, but continues to grow in many ways. We are conveniently located just north of Robinson Elementary School on Union Road in south Gastonia. Please join us for worship on Sunday or for any of the events listed on our calendar. Busy schedule this week as we remember Christ's last days on earth before his death on the cross followed by the glorious resurrection on Easter Sunday. Join us for any or all of these services. • Maundy Thursday: Remember with us the Last Supper and Jesus' charge to his disciples to be servants. This is a joint worship with Olney Presbyterian at Robinson Memorial. 7 p.m. Communion by intinction will be celebrated. • Good Friday: When Christ died, the curtain surrounding the Ark in the Temple was torn in two. What did this mean? Robinson Memorial will be participating in a joint worship service at 7 p.m. at Union Presbyterian. 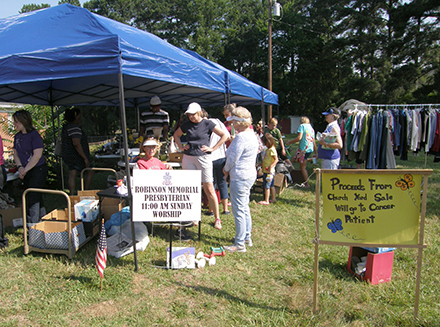 Also participating are New Hope Presbyterian and Olney Presbyterian. 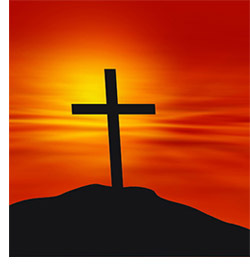 • Easter Sunrise Service: Join us at 7 a.m. in the Memorial Garden at the south side of the church for this brief service sharing the discovery of an empty tomb and what it means for us today. • Breakfast: The Men of the Church will be cooking up eggs and more (including Doug's Famous Gravy). Fellowship Hall following the Sunrise Service. • EASTER WORSHIP: He is risen! Join us in worship and celebration at our 11 a.m. service. Includes Communion. 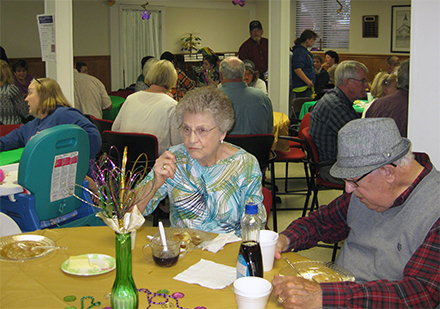 Our annual Shrove Tuesday Pancake Supper was a great success this year. The crowd certainly kept our griddles going almost non-stop! Thanks to everyone for your assistance. Car Show and Yard Sale a success! Nov. 4 was a really busy day at Robinson Memorial. 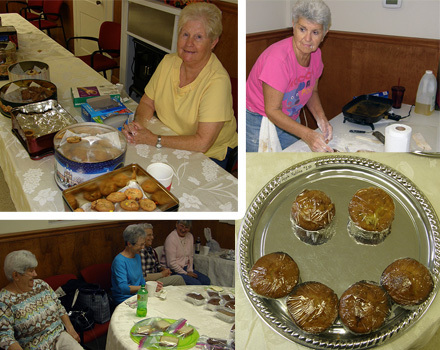 Women of the Church's Bake Sale was a huge success. Lots of great food went out the door with happy people. Thanks to everyone for their participation. Also going on was a free hot dog giveaway along with some games and a bouncy house for the kids. The weather was great on the front lawn. Thanks to our grillers and others for helping out. Thanks to everyone for their support of these twin events on June 17, 2017. 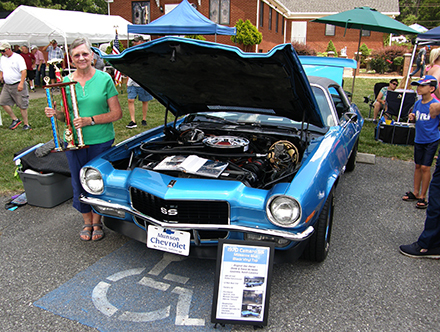 This year's car show was named in memory of longtime Robinson member Fred Kerr. We'll post pictures soon. Pancake supper a great time! 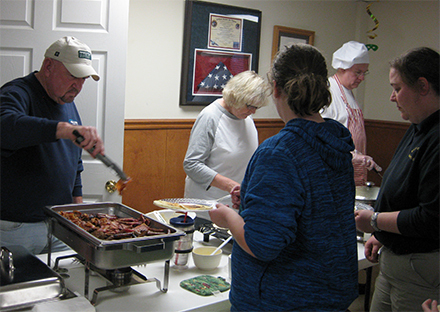 Thanks to everyone for another successful Shrove Tuesday Pancake Supper at Robinson! Wednesday Bible Study times two! Starting Feb. 1 we began a new Wednesday Bible study series on the Book of Job. But even better, we added a 2 p.m. class. We realize some folks can't make the 7 p.m. Wednesday Night Bible Study as they don't like or can't drive after it gets dark outside. Both the 2 and 7 p.m. sessions cover the same material each week. We hope you will join us for this new adventure! 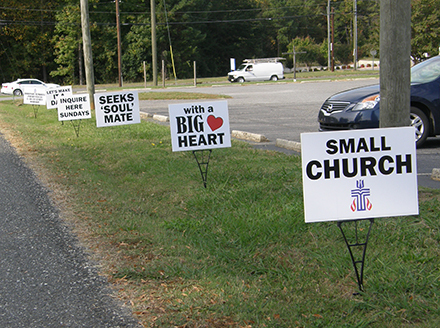 Taking advantage of all of the new traffic on the driveway between the church and Robinson Elementary School we've printed up and posted some "Burma Shave" style signs promoting Robinson Memorial Church. We'll move them around from time to time, so they won't always be on display. Thanks to everyone for a great Lessons & Carols Service at Robinson on Dec. 6. 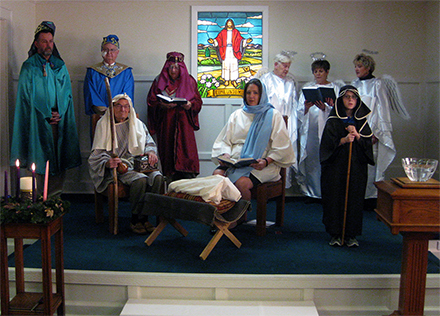 We had 50 people in attendance and a handsome cast for our Christmas pageant with a real-life baby (thanks, Tiffany and Thomas!). And the spaghetti dinner afterward was fantastic! 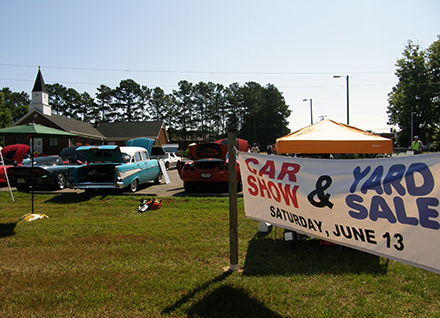 Car Show & Yard Sale a success! It was a hot day at Robinson Memorial on June 13 in more ways than one. We had the highest ever number of vehicles shown in this, the 11th year of the Car Show. 65! It was a fantastic turnout. 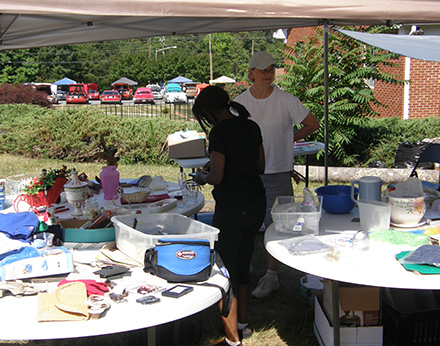 We also had a great Yard Sale going on at the same time in our back yard. We'll have more pictures later, so stay tuned. Thank you to everyone for your help!